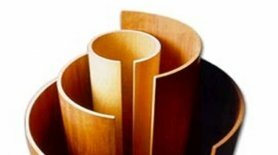 Paint Grade Casings are manufactured from preformed plywood profiles with the outer layer of the plywood substrate receiving an additional thin layer of Mdf. This gives the casing a very smooth outer surface which is ideal to receive a decorative paint finish. This product provides a very simple and cost-effective way of producing architectural column casing which can be painted on site to blend or contrast with any building environment. The material can also be used for other applications such as bulkhead and service casings, the choice is yours. 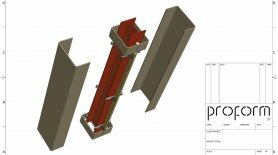 Although we supply the material in standard lengths, shapes and sizes alternative casings designs can still be achieved. This is done by simply connecting standard profiles together in various configuration and/or by the introduction of flat panels between profiles. Please click on the sections below to read more about the material and to see standard size, specification and design schedules. 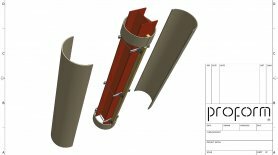 Bespoke profiles can be manufactured to order such as ellipses, however we only offer this service for orders involving significant quantities and value due to the production tooling & setup costs. Please contact a member of our team to discuss the viability of this option.